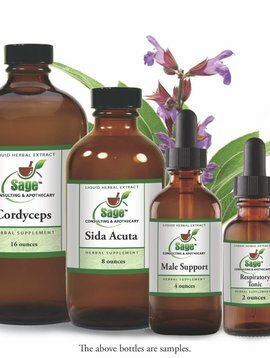 Sage Consulting & Apothecary offers a wide range of herbal formulas in tincture, bulk and capsule form to the good folks of our local Colorado community as well as globally. At the heart of our practice is our huge Herbal Pharmacy and our unique line of herbal formulas designed by Clinical Herbalist, Valerie Blankenship, AHG. Valerie has over 28 years experience as herbal clinician, formulator, medicine maker and educator. She conducts private consultations in her on-site clinic and heads a talented group of teachers in providing several annual herbal educational programs. Castor Oil - 4 oz.